Scary helmets are sort of a prerequisite for bad guys in the Star Wars universe, and Kylo Ren is no exception. He looks absolutely terrifying! But, that's exactly what a bad guy should look like. 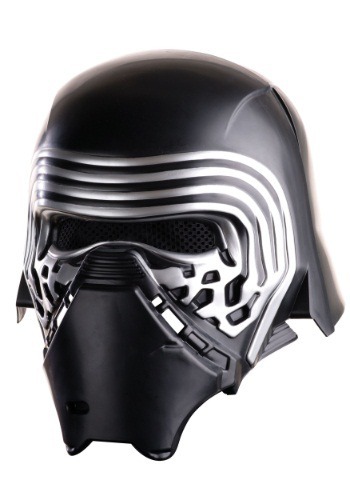 If your child can't wait to be bad and hunt down the remaining Jedi (all pretend of course) we think this Kylo Ren helmet for kids is going to be a welcome addition to their Star Wars collection. Just don't be startled if you turn around in the kitchen and this little guy is staring you down. "I seek the last of the ice cream sandwiches, and I will eradicate that last sandwich when I find it..."